Conflating Hamas with Daesh promotes the interests of Israel and certain Arab governments while ignoring the very real political and theological differences between the two groups, Belal Shobaki explains. Not only are Hamas and Daesh unrelated, they are bitter enemies, and Daesh has denounced Hamas as an apostate movement. Al-Shabaka Policy Analyst Belal Shobaki discusses the major ways in which Hamas differs from Daesh including its approach to jurisprudence; the position vis-a-vis the nature of the state; and relations with other religions. He makes the case that it is especially important for the Palestinian national movement to rebut the attempts to conflate Hamas with Daesh and points out the dangers of not doing so. What Forces Shape the Palestinians of Gaza? The conflation of Hamas with Daesh ignores reality on the ground. The political environment in Palestine is defined by the occupation, whereas the political environment in the Arab countries where Daesh emerged is defined by authoritarianism and repression as well as sectarian and religious conflicts, an ideal environment for the emergence of a radical ideology motivated by indiscriminate violence. For Israel, however, the attempt to link the two may pay off regionally and internationally. Many Arabic media outlets have no qualms about referring to this terrorist organization as an “Islamic” State although it is anything but, while many Western media outlets embrace the Israeli conflation of Hamas and Daesh without scrutiny. 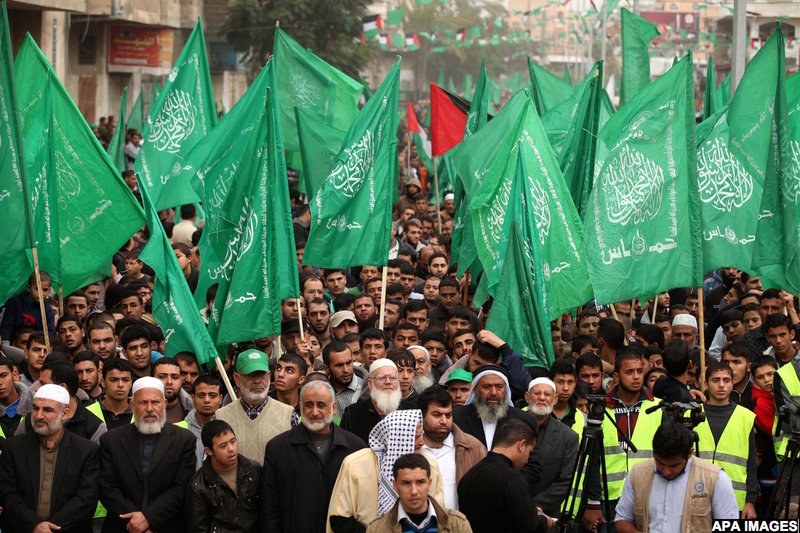 Arab regimes are uninterested in defending the image of Hamas. Even the Palestinian Liberation Organization (PLO) does not seem concerned with defending Hamas's international image given the political division between Fatah and Hamas. The rapid developments of the past five years in Egypt, the country that provides the only outlet for the Palestinian Gaza Strip, has pushed Hamas into its informal tunnels economy. The official Egyptian stance after Abdel Fattah Sisi's coup against elected president Mohammad Morsi became tougher against the Gaza Strip, with claims that Hamas was cooperating with Jihadist groups in the Sinai, the same narrative promoted by Israel and its media. However, this narrative is flawed. It is too risky for Hamas to maintain a close relationship with Sinai jihadists, on the one hand, while cracking down on individuals embracing the same ideology in Gaza, on the other. Any links Hamas has established with those groups is limited to securing the needs of the enclave besieged by Israel and Egypt. This interaction is not motivated by a shared ideological identity or shared enmity towards the Egyptian regime. Indeed, Hamas has been eager to keep communication lines open with the Egyptian regime even when accusations conflating Hamas with Sinai’s Salafi Jihadi groups were made in the media. Hamas has also repeatedly said that it is keen on rebuilding the relationship with Egypt in order to ensure the legal flow of goods, services and individuals into Gaza. It is important to refute this narrative concerning one of the largest Palestinian political movements: Excluding moderate Islamists from political life carries the danger of pushing Palestinian society towards radicalism, in which case both Fatah and Hamas will find themselves fighting takfiri groups. The ensuing discussion will demonstrate the real differences between Hamas and Daesh as well as the very real enmity between them. Hamas positions itself as a centrist Islamic movement and an extension of the Muslim Brotherhood, with a rational jurisprudential authority, whereas Daesh adopts a text-based approach that deals with Islamic texts in isolation from their historical context and refuses to interpret them in line with current developments. Hence, for Daesh and other takfiri groups in general, movements like Hamas are secular and un-Islamic, since Hamas is primarily a resistance movement against the Israeli occupation and believes in a moderate Islamic authority. Moreover, Hamas does not take Islamic texts literally; it allows for ijtihad - interpretation and use of discretion. Some scholars have categorized these movements along a horizontal line with the right representing advocates of the text and the left representing advocates of reason. 3 Using this classification, the Muslim Brotherhood can be found a good way down the left of the line, while Daesh is on the far right. Daesh characterizes Hamas and its discourse as deviant. Hamas for its part has condemned Daesh’s threats and considered these part of a smear campaign that extends beyond Palestine. When threats from Daesh and other takfiri groups materialized into action, Hamas no longer stopped at condemnations. Mahmoud al-Zahar, a prominent Hamas leader, declared "Daesh's threats can be felt on the ground, and we are handling the situation from a security standpoint. Whoever commits a security offense shall be dealt with in accordance with the law, and whoever wants to debate intellectually shall be debated intellectually; we take this matter seriously". Hamas had in fact dealt decisively with a Daesh-like group. In August 2009, Abdul Latif Musa, leader of the "Jund Ansar Allah" (Soldiers of God’s Supporters) armed group, announced the creation of the Islamic Emirate in Gaza at the Ibn Taymiyyah Mosque. The group had previously been accused of destroying cafes and other venues in the Gaza Strip, pushing the Hamas government into a confrontation. Security forces, reinforced by the al-Qassam Brigades (Hamas’ military wing), encircled the Ibn Taymiyyah Mosque and, when Musa's group refused to surrender, Hamas ended the emirate project in its infancy by killing the members of the group. Hamas was criticized for its use of violence but justified its actions by arguing that the violence that could have been perpetrated by such groups would have been much worse than that used to eradicate extremism in the Gaza Strip. Daesh’s supporters in Gaza are far fewer than Hamas’s, mainly due to the fact that these groups have not historically contributed to resisting the occupation. Some polls suggest that 24% of Palestinians think positively of jihadist movements, but this percentage is exaggerated. When some Palestinians cheer for the jihadist groups’ hostility towards the US, it is not because they believe in these groups but rather because they see the US, with its infinite support for Israel, as being playing a destructive role. Hamas and Daesh differ in their view of the modern state, in both theory and practice. As noted above, Hamas has always allowed for ijtihad or discretion, evolving its thoughts and opinions. It is thus unfair to assess Hamas's stance on the civil state and democracy based on the early literature of the mother movement, the Muslim Brotherhood. Hamas maintains that it has embraced new convictions in this regard and has come to fully accept democracy and the concept of the civil state. Indeed, the Muslim Brotherhood itself has evolved. Qatar-based Sheikh Yusuf al-Qaradawi, the jurisprudential authority of the Muslim Brotherhood at large, has stated on multiple occasions, including in his book "The State in Islam", that the concept of the religious state does not exist in Islam. According to al-Qaradawi, Islam advocates for a civil state founded on respect for the people's Islam-based opinion, and also founded on the principle of accountability and political pluralism. Although the discussion about the relationship between Islam and democracy predates the Muslim Brotherhood, it gained clarity after the 1950s, when numerous Islamic thinkers, including al-Qaradawi, the Tunisian leader and Ennahda co-founder Rached Ghannouchi and the Algerian philosopher Malek Bennabi, affirmed that Islam and democracy were not in contradiction with each other. At the opposite end, the movement that Daesh represents rejects democracy in its entirety and considers it an apostate system of governance. Although some jihadist groups do not denounce Islamists who take part in the democratic process as apostates, they do consider their discretion flawed. Daesh views any expression of democracy such as elections as a manifestation of apostasy and any movement or individual taking part in elections as apostates. By contrast, the Muslim Brotherhood participated in elections from its earliest days, when its founder Hassan al-Banna decided to run in the Egyptian parliamentary elections that El-Wafd Party Government sought to hold in 1942. Although al-Banna could not run because the government rejected his candidacy, the Muslim Brotherhood has served in Arab parliaments and sometimes in the executive branch. When Hamas decided not to participate in 1996 Palestinian Authority elections its position was based on a political and ideological stance towards the Oslo Accords. However, Hamas allowed its members to run in the elections as independents. When the circumstances changed and the 2005 Cairo Agreement became the governing framework for the PA elections instead of the Oslo Accords, Hamas decided to participate. It nominated many members in the movement and some independents to a Change and Reform list to run for the Legislative Council, winning the majority of votes. By participating in the elections, Hamas has offered evidence that it is willing to function in a modern state and a democratic system. It has called for coalition governments inclusive of leftist and secular parties. Its government as well as its parliamentary list included women and its first government included Muslim and Christian ministers. Daesh, on the other hand, has turned against all modern institutions in the areas under its control, refusing to recognize borders or national identity. It rules through chaotic and individual decisions. Although Daesh has been eager to use administrative terms derived from the Islamic tradition such as caliphate and shura (consultation), the essence of its governance contradicts the majority of unquestionable texts in the sources of Islamic legislation in many ways. For example, it does not abide by the conditions established in the Quran and sunna (the Prophet Mohammad’s teachings) to declare war or the protection of civilians and treatment of prisoners in wartime. Another example is its imposition of jizya (a tax that was levied on non-Muslim subjects), which is not supposed to be applied to the indigenous inhabitants even if they are non-Muslim. Moreover, it has attacked places of worship and assaulted the faithful in their homes, in clear violation of the Quran and sunna. Daesh, to some extent, resembles hybrid regimes in the Third World that use modern and democratic vocabulary to describe their political process, even though they remain authoritarian in essence. The most significant difference between Hamas and Daesh is their position towards followers of other religions. During its formation, Hamas published a charter that used religious vocabulary to describe the conflict. Following severe criticism, Hamas effectively sidelined this Charter and no longer considers it an authoritative reference as some of its leaders have confirmed. In his interview with The Jewish Daily Forward deputy head of the Hamas politburo Moussa Abu Marzouk confirmed that the Charter was marginal to the movement and not a source for its policies. He added that many members were talking about modifying it because several of Hamas’ present policies contradict it. Hamas’ politburo leaders abroad were not the only ones to disclaim the charter. Gaza-based Hamas leader Ghazi Hamad went even further in an interview with the Saudi Okaz newspaper in which he said the charter was subject to discussion and evaluation in opening up to the world. 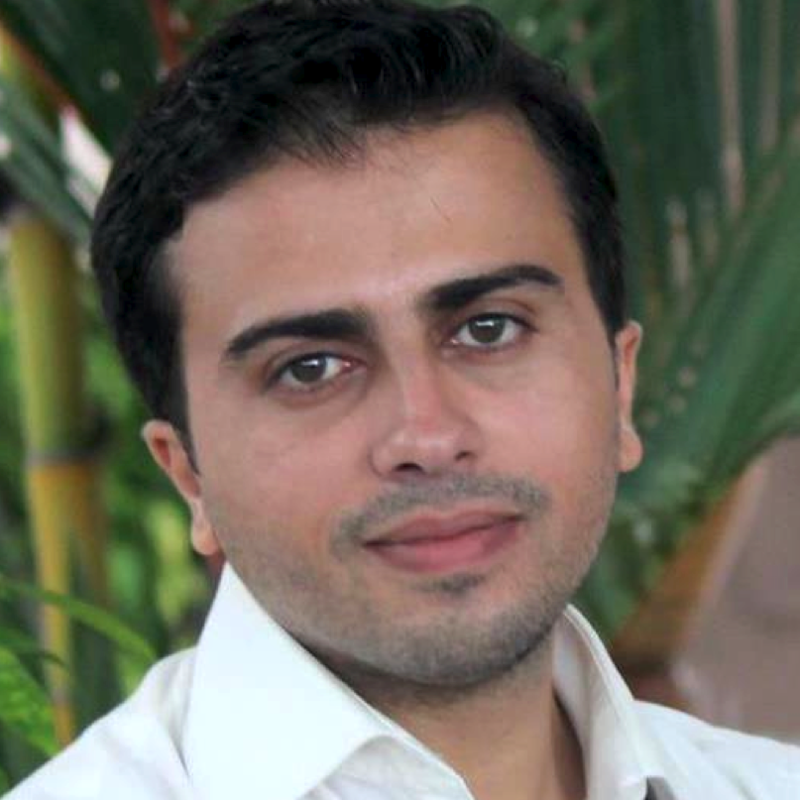 Sami Abu Zuhri, a young Hamas leader who was the movement's spokesperson during the Second Intifada, urged in an interview with The Financial Times that focus be shifted away from the 1988 charter, and that Hamas be judged on the statements of its leaders. Today, Hamas adopts the Quranic verse that reads: "Allah does not forbid you from those who do not fight you because of religion and do not expel you from your homes - from being righteous toward them and acting justly toward them. Indeed, Allah loves those who act justly." This verse urges kindness and justice when dealing with people of other religions. Unlike Daesh, Hamas has applied this in practice. In addition to appointing Christian ministers to its cabinet, it has celebrated Christmas with Palestinian Christians by sending official delegations to visit during the feast. Meanwhile, Daesh has threatened the lives of those who celebrate Christmas across the world. Some may argue that these steps are ways in which Hamas tries to beautify its authoritarian rule. However, there is little difference between Hamas' rule and Fatah's. The human rights violations committed by Gaza's government cannot be considered an indication of Hamas' resemblance to Daesh, but rather an indication of misgovernment. The political leadership of Hamas has spoken out against such practices on occasion, for example as those committed by the Ministry of the Interior under Fathi Hammad. When some individuals were attacked by extremist groups in Gaza, Hamas and the government acted to ensure their safety and punish the aggressors, as in the case of British journalist Alan Johnston who was freed by Hamas from his radical captors and the killing of Italian solidarity activist Vittorio Arrigoni. The movement’s position towards the Shiites is similar to that towards Christians. At a time when the Middle East is experiencing a media war between Shiites and Sunnis, Hamas refuses to denounce Shiites as apostates, and has interacted with them politically. When the relationship with Iran became strained during the Syrian crisis, the disagreement was political rather than doctrinal. Daesh, on the other hand, not only thinks of Shiites as apostates, but also all other Sunni groups that hold a different ideology, and believes they must be fought. Even the two organizations’ treatment of the enemy differs. Hamas identifies the Israeli occupation as the enemy, while Daesh considers everyone else its enemy. Daesh has boasted of its numerous crimes against humanity in its treatment of its abductees and the civilians under its rule, including burning Jordanian pilot Muath al-Kasasbeh alive. It has attempted to legitimize its inhumane conduct by distorting or misinterpreting religious texts. Hamas paid its condolences to al-Kasasbeh’s family and condemned Daesh's actions. Contrast Daesh’s brutality with Hamas’ treatment of the Israeli soldier Gilad Shalit during his captivity, as even the Jerusalem Post reports. Both Hamas and Daesh are on the list of terrorist organizations in many countries, including the member states of the European Union and the United States. However, the listing of Hamas is clearly politically motivated: Unlike Daesh, Hamas has neither targeted nor called for targeting any entity other than the Israeli occupation. Hamas was added to the list of terrorist organizations following the events of September 11, 2001, even though it had nothing to do with this terrorist attack. The political nature of the position against Hamas is underscored by the fact that the General Court of the European Union issued a decision on December 17, 2014, urging the removal of Hamas from the list of terrorist organizations. The Court argued that the order to list Hamas in 2003 was based on media reports rather than solid evidence. In addition, many European and American dignitaries that are known for their stance against terrorist organizations worldwide have met with Hamas leaders on more than one occasion. Those include European parliamentarians and former US president Jimmy Carter, who met with Ismail Haniyeh in Gaza in 2009 and Khalid Meshaal in Cairo in 2012. The bottom line is that Israel's attempt to exploit a chaotic Middle East by implicating Hamas as a terrorist group linked with Daesh is baseless. Hamas is ideologically, intellectually, jurisprudentially and politically different from Daesh. Media outlets that adopt the Israeli narrative hurt their professionalism and credibility. Palestinian movements must not allow the disagreement with Hamas to justify the accusations that harm the Palestinian cause internationally and create tensions locally. Hamas must also realize that the differences between them and Daesh do not mean that its rule of Gaza is free of abuses and human rights violations, and must therefore revisit its conduct and be more careful in its political discourse. It should move beyond the approach of having one discourse for local consumption and another for global consumption since every word uttered by any Hamas leader is marketed abroad as a message from Hamas to the world. When the Fatah-led Palestine Liberation Organization (PLO) and Arab regimes, especially in Egypt, do not oppose the efforts to link Hamas with Daesh – or, indeed, occasionally contribute to these efforts – they may "benefit" in the short-term by weakening Hamas as a political opponent. However, this carries the dangers of destabilizing Palestinian society in the medium and long-term. Excluding moderate Islamists could push Palestinian society towards radicalism, in which case both Fatah and Hamas will find themselves fighting takfiri groups. 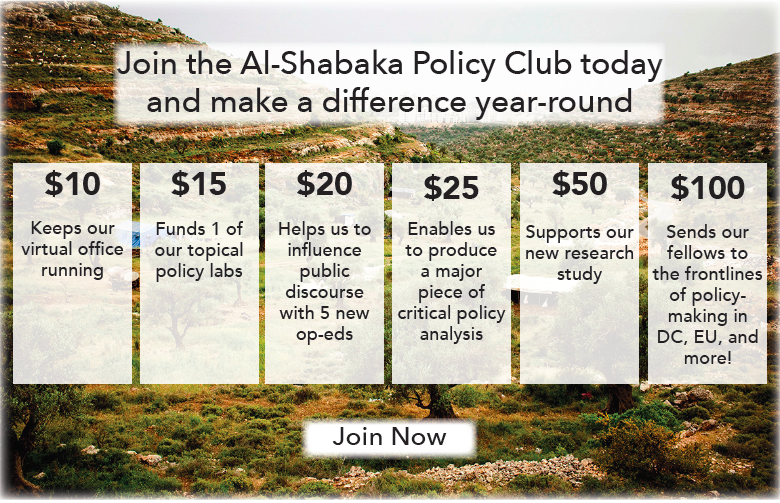 Al-Shabaka materials may be circulated with due attribution to Al-Shabaka: The Palestinian Policy Network. The opinion of individual members of Al-Shabaka's policy network do not necessarily reflect the views of the organization as a whole.